One of the most coveted streets to be on in Vancouver is Point Grey Road and homes here are some of the best in the country. There are also a lot of older properties sitting right on the ocean that have a lot of character and room for improvement…this listing is that home. Built in 1995 and featuring a lot of unique bits and bobs like stained glass, that incredible dome skylight and what looks to be original carpet. Those views however are incredible as it looks back onto downtown Vancouver, to West Vancouver and of course the ocean and mountains. 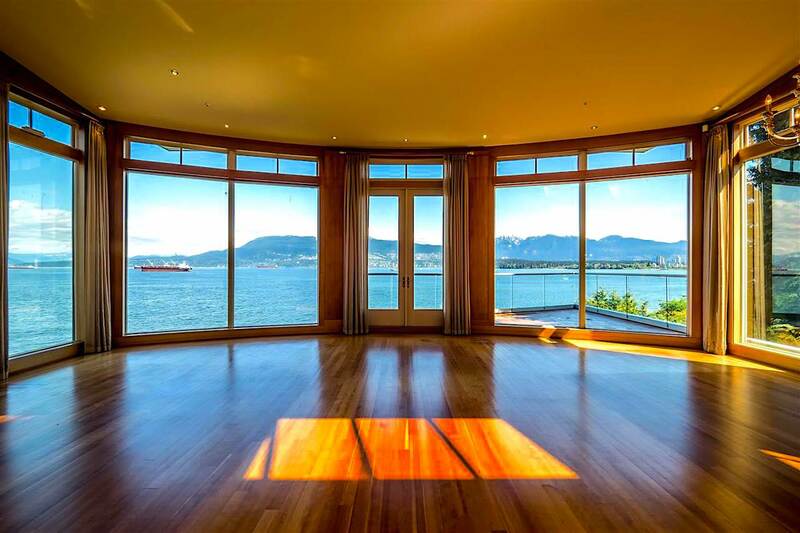 Listed now for $19,980,000 CAD with Manyee Liu who’s with Macdonald Realty and you can learn more or book a viewing with Manyee by calling her at 604-263-9988 today.